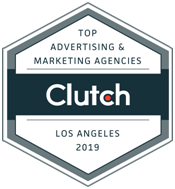 LAD Solutions Named as a Leading Advertising & Marketing Firm in Los Angeles! “More Than 3000 Hits Than Its Competitors” When StealDeal.com first started their SEO campaign with LAD Solutions, they had one goal: to surpass IslandWholesaler.com & BargainWholesaler.com in online traffic. However, their goal was met with realistic expectations from the onset.